Four days ago USC took a huge blow to the gut when WR Bru McCoy‍ decided to transfer to Texas after being enrolled for two weeks. 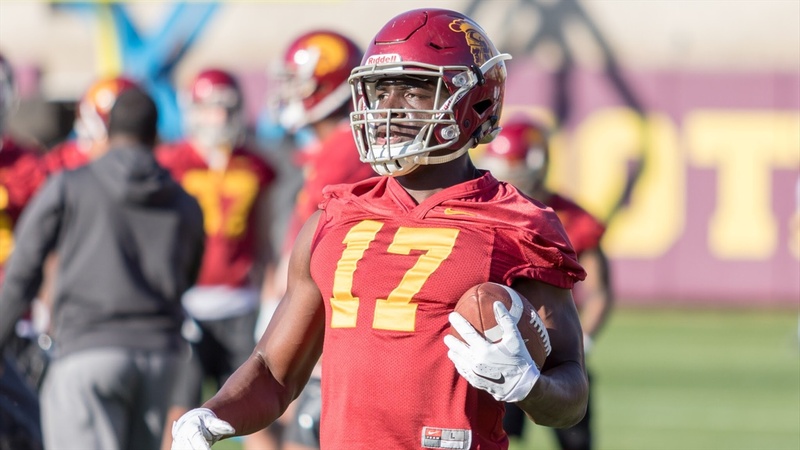 A few days later WR Trevon Sidney‍ added his name to the NCAA transfer portal and today WR Josh Imatorbhebhe announced he will transfer after the semester. While the Trojans are extremely loaded at WR, losing three in a seven day stretch isn’t a minor issue, especially if they’re not able to close with Kyle Ford‍ and Puka Nacua‍ on signing day next week (Feb. 6). The Trojans already have Munir McClain‍ and Drake London‍ signed, so it will be interesting to see if any late offers go out to receivers this week. At one time five-star Alabama WR George Pickens‍ had expressed his strong desire to take an official visit to USC, but he told TrojanInsider.com this weekend he never got an offer from the Trojans. He sounded like he’d still possibly consider taking his final official visit to Los Angeles if opportunity presented itself.